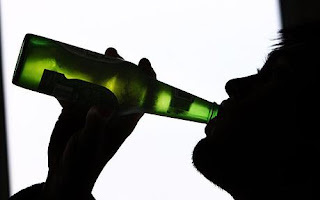 Have you ever wondered 'how does alcohol effect my body especially when I am training hard?’ Well it’s a question I hear all the time from my clients so here is my attempt to make you aware of the damaging effects alcohol can have on your training routine, and achieving your ideal physique. How bad is drinking alcohol on your training goals? Most people are aware of the issues surrounding alcohol and the potential effects it can have on their body but what are the real effects of alcohol on your training especially over a longer period of time? 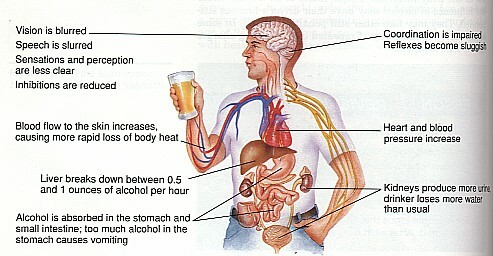 One of the many side effects of alcohol consumption is dehydration. It is hypothesized that your body’s water supply is heavily utilized during alcohol consumption in an attempt to metabolize the alcoholic toxins. This results in water being diverted away from other bodily functions. Even small percentage adjustments away from your body’s optimum hydration levels can create large discrepancies in your energy and performance levels. Alcohol has a limiting effect on the metabolism of numerous substances within the body. One of these substances, most relevant to your training, is carbohydrate. If the process of carbohydrate metabolism is compromised, then ultimately, the fuel to power the body, glycogen, is reduced as a result. In terms of your own performance, this can result in premature fatigue and diminished endurance, strength and speed. The consumption of alcohol reduces your body’s ability to absorb protein, resulting in a less readily available supply for your muscles. I’ll say it again alcohol reduces your body’s ability to absorb protein so it’s no good going out of your way to eat clean, supplement etc with protein drinks and the like if your body cannot absorb it. This reduction means that both recovery and growth rates are diminished as a result. This could ultimately affect your ability to continually train on consecutive days. Alcohol consumption has also been negatively correlated with the production and release of your body’s own growth hormone so if you are trying to gain muscle you are not helping the process. Alcohol severely reduces your mind’s ability to accept and process information and can occur almost instantaneously (I’m sure we have all experienced this one). It has also been seen to alter both hormonal functioning and glycogen metabolism, with reduced glycogen metabolism resulting in less energy supplies for your body. This particular category has already been covered, in part, through the above sections relating to dehydration and recovery rates. But to summarize, if you are not fully hydrated and have not allowed your body to optimally recover and repair from previous exertions, then you cannot expect to achieve optimal strength levels during your proceeding resistance training sessions. 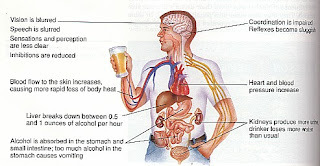 Alcohol consumption has numerous effects on the heart’s ability to carry out its responsibilities to the fullest. This may not be noticed in a sedentary individual but for those undertaking training it can impact massively on cardiovascular fitness levels and the ability of the heart to supply oxygen to the working muscles. I’m sure there are many things I have left out and could go on all day but here are some of the effects of alcohol and how it impacts on your ability to train to your full potential. Remember, listed above are some common side effects of alcohol on the body but this is no way an exhaustive list. Additionally, there is the high calorie content in many alcoholic beverages, and they are all the wrong type of calories, SUGAR. Not to mention the fact that alcohol can stimulate your appetite, resulting in a large calorie intake in a relatively short space of time and as I have covered in an earlier blog SUGAR is the enemy. So Should I Stop Drinking? Dependent on the levels of alcohol consumed, these short term effects can remain with you for up to approximately 72 hours until the body has been able to fully rid itself of its alcoholic contents. Therefore, if you drink 2-3 times a week you can appreciate how these detrimental effects can severely limit your training.On occasions it is nice to relax with an alcoholic beverage and by no means is this blog attempting to preach a tee-total lifestyle. I’m just trying to raise the awareness of excessive drinking in relation to achieving your desired training goals. The key word with regards to training, and alcohol/diet in general, is ‘moderation’.